Sales of Slow-Rise™ roller shades is our main focus. 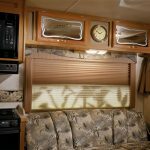 Most manufacturers are now installing roller shades in their products. 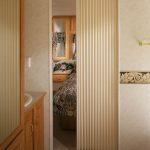 Whether you need the windshield in your motor home updated with motorized shades or your fifth wheel or your travel trailer updated, we can do it all. 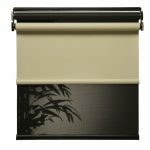 If you’re tired of the hassle of pleated shades, consider Slow-Rise™ roller shades. 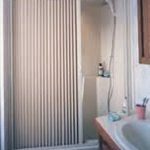 We do, however, still sell pleated shades, pleated folding doors and pleated shower doors.